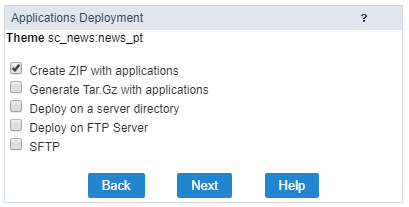 Note: Different from the typical deploy, where the directories’ setup is done from ScriptCase using the default settings, the advanced deployment allows you to choose the directories is according to the server’s architecture where it is going to be deployed to. 3 - Choose the type of deploy that you will use (Advanced). 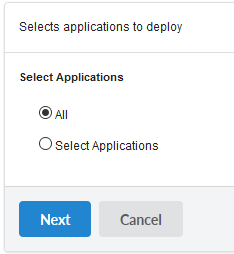 4 - Create a template for the deployment so that the settings can be saved and reused each time you deploy the current application. 5 - Define the structure of the production environment’s directories defined in the production server. You can see two examples of different setup examples. 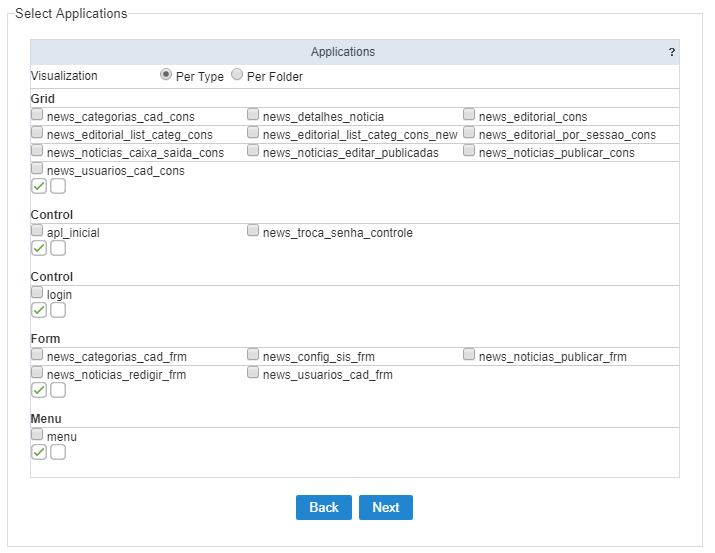 Note: It is necessary to create the directories in the production server, so that it can store the deployment’s Production environment (Common Libraries), remembering that the absolute path until the folder of the documents directory needs to be informed. 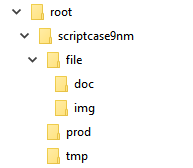 On this example, we are using the production folder. 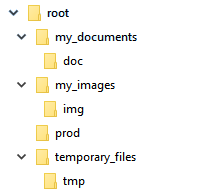 Note: On this example, it is necessary to create the image, documents and temporary directories, on your production server, remembering that the documents directory needs to be informed the absolute path. Relating to the Production Environment (Common Libraries), it is necessary to take the “prod” folder generated at the end of the deploy to the server. In this case, we are using different directories form the previous example. Note: On both examples on top, in case you want after the conclusion the deployment process, there will be a link to download and deploy the common files, check the option “Deploy with common files (css, buttons, images, messages)”. Note: The Character “/”, means the Web Server’s root, it is used for relative paths. 6 - Define the connection name that will be used by the project after deploying. The final process that will be give you a link to download the deploy package. Note: This option is recommended because it does not need other services to be done. 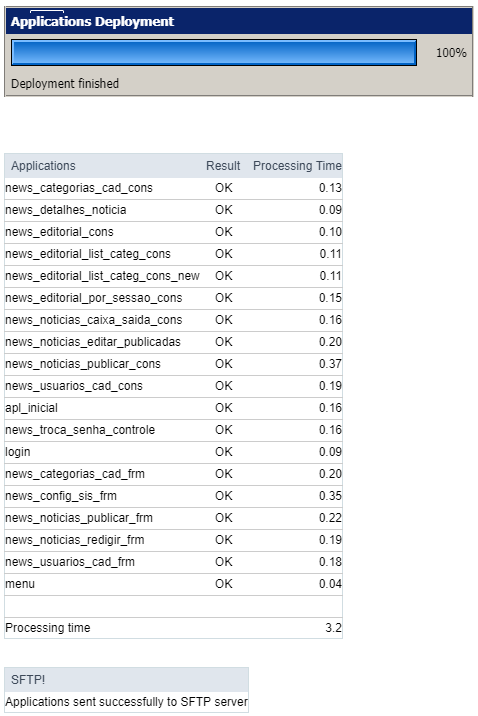 Deploys the project in the informed directory. This option should be used, in the case that the deploy is going to be in the same sever where ScriptCase is installed, otherwise this option is not valid. 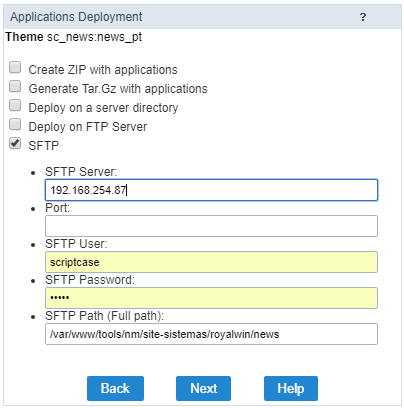 Deploys the application automatically on a remote FTP server. 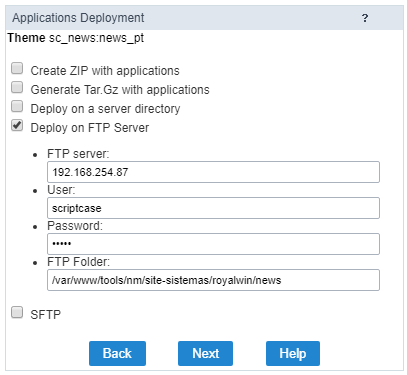 FTP server: Server where you will deploy your project. Inform the domain or server’s IP. 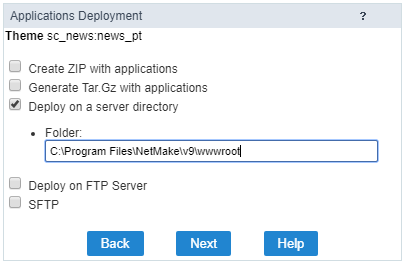 Note: To use the Deploy on FTP server option is necessary that the user have permission to write on the server folder..
SFTP server: Server where you will deploy your project. Inform the domain or server’s IP. 8 - At the end of the process you will receive a report with all the applications deployed and a download link of the project, also with the common libraries, that are the necessary routine to run the applications on the production environment, that is why they are required to upload with the deployment. Note: The advanced deploy requires that you download the “Production Environment”, that is the package that contains the common libraries. 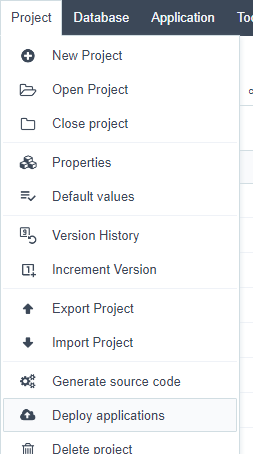 If you do not want to download the Production Environment (Common Libraries) from the link generated by the deploy, you can download it by Clicking Here. 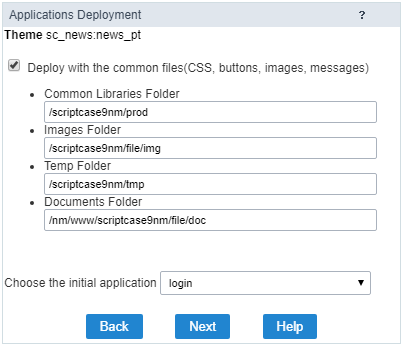 If you deploy the project again, you do not need to download the common libraries, but this information is not valid if the common libraries were updated in a new ScriptCase release.